Happy Literary Friday, My Lovelies! 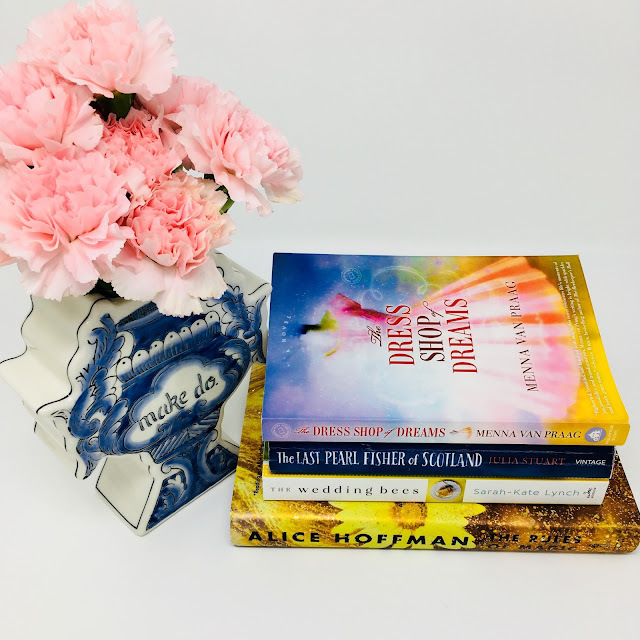 During the month of January, I'll share with you the four books I read during Christmas vacation. 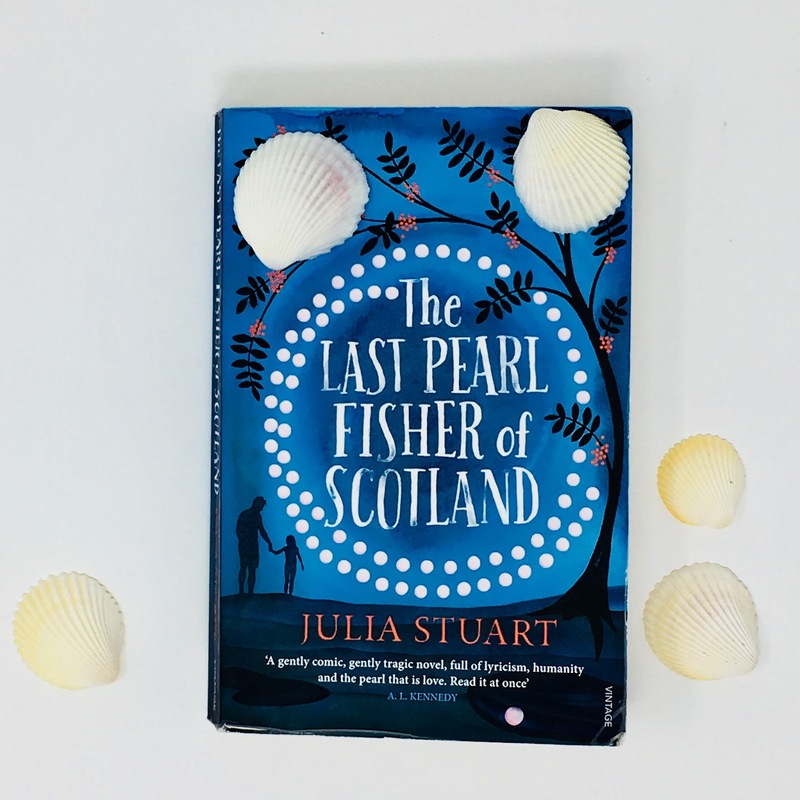 The first book I'm sharing is The Last Pearl Fisher of Scotland by Julia Stuart. Apparently it's very difficult to find it here in the states, and my daughter found it via a used bookstore. It was one of the three books on my Christmas Wish List. From the bestselling author of Balthazar Jones and the Tower of London Zoo comes the story of one man's quest to find a pearl, save his marriage, and track down a missing rabbit named Frank. Brodie McBride is having a tough time. The last expert in the ancient art of pearl fishing, he’s on a quest to track down the pearl that will complete a necklace for his wife, Elspeth, convinced that the love token will save their marriage. But Scotland’s rivers are running out of mussels, Elspeth is running out of patience, and their daughter, Maggie, is running wild with her moustachioed pet rabbit. And when Maggie takes matters into her own hands, determined to keep the family together, the McBrides are soon at the centre of international commotion that will change everyone’s lives forever. During Christmas vacation several years ago, I read Julia Stuart's The Matchmaker of Perigord, and I loved it. I also loved The Last Pearl Fisher of Scotland, too. The characters are complex, and not a single one of them is a caricature. Brodie is so desperate to find a larger pearl, a "centerpiece" to complete his wife Elspeth's pearl necklace. He's very superstitious about finding it, and he feels if he doesn't find one to complete the necklace then his marriage is doomed. Elspeth seems aloof about their marriage at first, but once you learn her side of the story their marital situation makes a lot more sense. Little Maggie's character will break your heart. She burdens herself with the success of her parents' marriage, and she actually plots a sophisticated plan to help her dad find that pearl. Unfortunately her plan goes way off track, and the situation snowballs completely out of control once the press becomes involved. Frank the rabbit is a favorite character of mine. Bought on a whim by Brodie to placate Maggie when the pet store was out of goldfish, Frank adds complications to the already complicated dynamics in the McBride household. 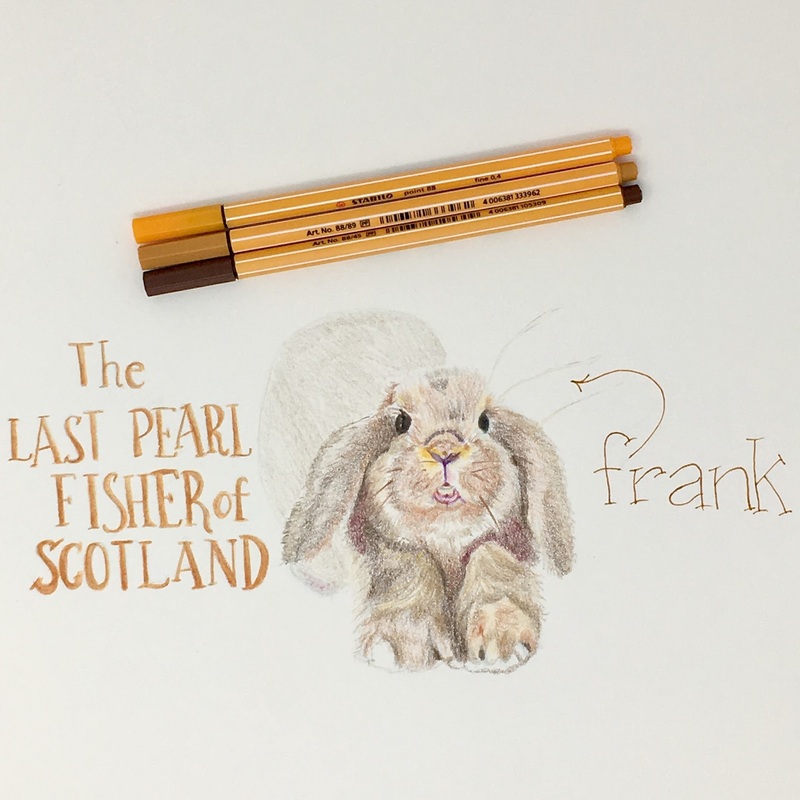 Hilarious, poignant, and fun, The Last Pearl Fisher of Scotland is an entertaining page turner that will keep you engaged throughout the story. I found the whole Scottish river pearl industry fascinating, and I did a little research on it while I read the book. I would love a vintage Scottish pearl necklace one day. They must truly be beautiful! I enjoyed this novel so much that I ordered Stuart's The Tower, the Zoo, and the Tortoise. Hopefully I can read it soon. NOTE: There's a spoiler in the caption below. Skip it if you want to read the book! My only complaint about the book is: What the heck happened to Frank? I want to know!!! The books sounds interesting and I was just looking at your journal pages at the bottom of this page...WOW! You've done great with your art! I know you are excited for the new year and what it will bring. Stay warm today! Hugs! This one looks like a great one Ricki Jill. As always, I love your artwork. Enjoy your weekend. Your review sure got my attention on this book. It sounds wonderful and one I would enjoy. Always love your artwork..........Happy weekend, hope the freezing weather is over. Sounds like a delightful read, and a Scottish setting too! Your Frank Rabbit is adorable and cuddly. Happy New Year, Ricki Jill! your bunny sketch is adorable! I love Stabilo pens, in fact I just ordered a set of 30, can't wait! This book sounds so interesting, I know nothing about Scottish pearls...I must say that the books you recommend are books I would never choose but the ones I have read, I have enjoyed so much! I finally have more time to read, yay! I think your Frank is a sweetheart. Well done my friend. Sounds interesting, and I 💟 the cover. Always looking for good reads! But I hate being left hanging too! This sounds very good, RJ. And I really adore your painting of Frank! this one sounds very interesting. AWW! love the Frank drawing!